Civilian government agencies are expected to procure more satellites for operational missions in Earth observation, meteorology, navigation, and communications. In most countries, communications satellites (comsat) are now primarily acquired by private companies for commercial services, but several governments continue to fund comsat technology development domestically to ensure they have cost-effective systems when needed. According to the report, now in its 14th edition, revenues from the manufacture and launch of these 1,145 satellites will be worth $196 billion worldwide, of which 70% can be attributed to government demand. “Governments continue to dominate the space market, as satellite systems are critical infrastructure for communications and geo-information solutions for civilian and military users” said Rachel Villain, Director for Space for Euroconsult and editor of the report. Government agencies from 50 countries will launch a total of 777 satellites in the decade ahead, though more than 80% of these satellites will come from the six major space powers ( i.e. the United States, Russia, the European countries, Japan, China, and India). Accounting for this 80% is the fact that established space countries are replacing systems that have already been operational, in addition to launching new satellites, whereas newcomers are only building and launching new systems, as they are not yet at the stage of replacing existing satellites. Over two-thirds of the government satellites to be built for launch in the coming decade are for civilian and dual-use; dedicated military satellites remain concentrated in a limited number of countries (the US, Europe, Russia, China, Japan and Israel). Defense and security agencies generally favor proprietary systems for secure communications and imagery intelligence, but budget constraints for defense spending are leading to more public-private partnerships (PPP) and government payloads hosted on commercial satellites. An even more limited number of countries will launch space surveillance and missile defense satellite systems to be used in combination with groundnetworks. As more national and multilateral agencies require imagery for a variety of purposes, Euroconsult expects over 200 government Earth observation satellites to be built for launch over the decade, making it the largest civilian government satellite application. The Euroconsult report also indicates that governments will develop more missions for space science and exploration (up 30% over the previous decade), with missions varying widely in terms of complexity and cost. In the commercial space business there are approximately 50 companies operating communications and broadcast satellites in geostationary orbit, and an additional ten companies operating satellites in lower altitude orbits for communications and Earth observation services. This market is driven primarily by established operators’ investment cycles for replacing in-orbit capacity (representing 70% of orders in the past), and to a lesser degree by new systems for newer commercial companies and governments. Euroconsult forecasts 203 commercial communications satellites with a market value of $50 billion will be launched into the GEO arc over the next ten years. Some of these satellites were recorded in satellite manufacturers’ order books during the flurry of ordering activity over the past five years. Commercial satellite services outside the geostationary orbit will get a boost over the next decade with a total of 165 satellites to be built and launched into medium and low Earth orbits (MEO and LEO). 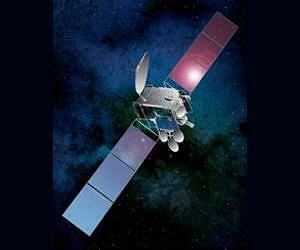 Three quarters will be communications satellites to replace the first LEO generation satellites (operated by Iridium, Globalstar and Orbcomm) and for O3b’s first- generation system, which will be the first commercial constellation launched into MEO. In addition, about 40 satellites will be launched into LEO for commercial optical and radar imagery (e.g. Astrium Services, GeoEye). According to Euroconsult, the market value for manufacturing and launch of these 165 satellites will be one fifth the figure for GEO comsat satellites. This is largely because they are smaller and launched at lower altitudes.